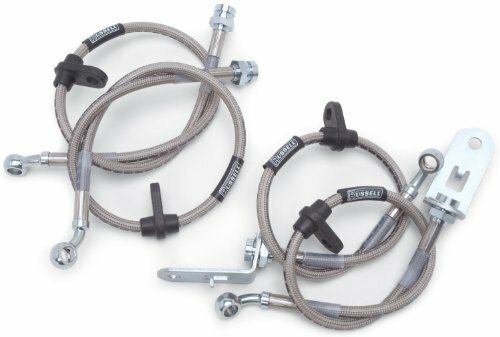 The Edelbrock/Russell Pre-Assembled Direct Bolt-On Street Legal Brake Line Kits bring the ultimate in braking performance. They improve the braking performance for competition or every-day driving. Replacement of original rubber lines with street legal brake lines increases braking performance and reduces brake pedal travel due to the elimination of hose expansion common to factory rubber lines. This brake line is factory assembled, utilizing a double crimp method requiring no special adapters for convenient installation. This kit comes in pre-packaged lengths and includes all of the hardware and fittings necessary for installation. It comes with 5 soft lines - two for the front, one for the center and two for the rear.